Cool Dog toys aren’t simply a means to stop your dog getting bored. They are also useful for channeling instinctual behaviors, such as tugging, chewing and chasing, as well as giving the ability to bond with your dog. The preferred type of toy relates to their personality and breed. Some breeds will be happy to play tug-of-war with you, while others are more content to chew on a bone for hours. A popular addition to the dog toy market is the interactive or puzzles toys. The best interactive dog toys benefit your four-legged friend in a variety of ways, including improved behavior, challenges their boredom and helps to mentally stimulate. I have spent endless hours in search of the top-rated interactive and puzzle dog toys. 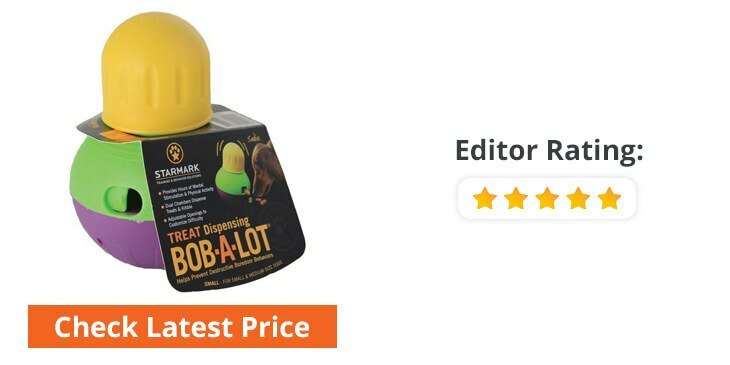 Analyzing hundreds of toys in relation to product features and customer feedback, the interactive puzzle dog toys to following are my top-rated picks. Why is it worth investing in the best interactive toys for dogs? 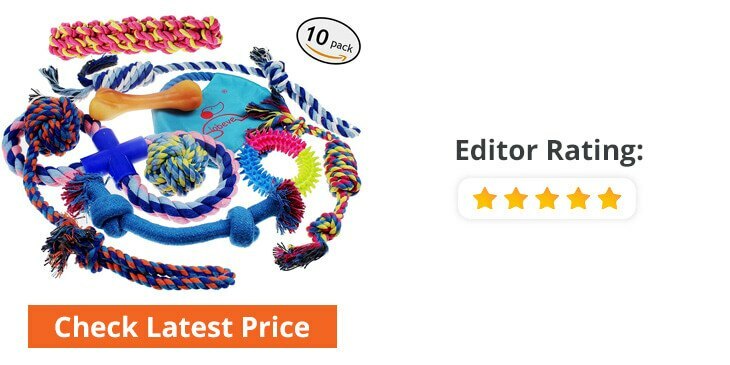 Basic or electronic interactive dog toys have a wide range of features and qualities, and our shortlist of the interactive dog toys below is based on criteria like size, material, durability, easy to clean, adjustability, and level of fun. 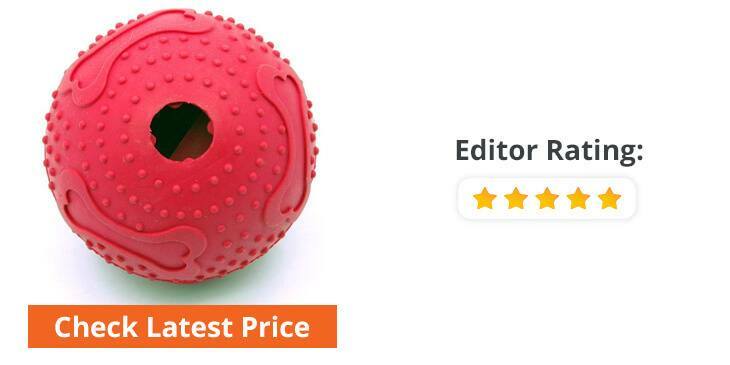 The IQ Treat Ball Interactive Food Dispensing Dog Toy is a simple, yet effective solution to promote physical activity and mental stimulation to keep your dog healthy and happy. Simply fill the IQ Treat Ball with a favorite kibble or treat and select the desired level of difficulty using the built-in interior disc. Now place the ball on the floor and let your dog play and roll the ball across the floor in an attempt to slowly release the food. The higher the difficulty levels the slower and more difficult it will be for your dog to extract the food which will give you an attention an well some physical exercise. Use the IQ Treat Ball Interactive Food Dispensing Dog Toy to promote not only exercise but also active feeding. The slow release of natural dog food significantly slows the food intake to aid digestion and avoids issues with bloating. 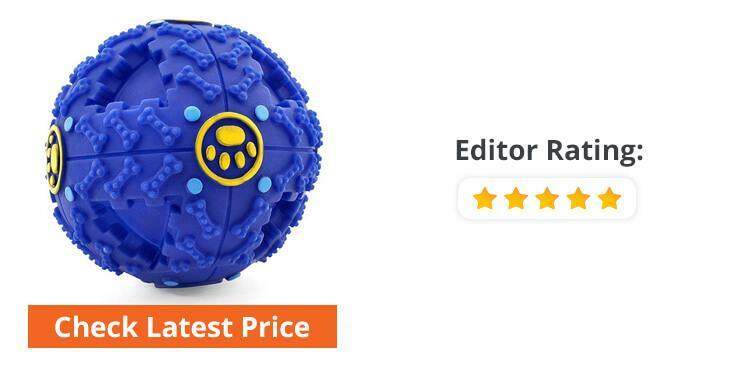 This interactive dog toy is a great choice to reduce destructive behavior and reduces boredom through the healthy action of exercise and play. The GameChanger® is a great food-based interactive toy to keep your dog entertained and avoid anxiety or destructive behavior. Simply open up the GameChanger and fill with a favorite treat and place on the floor. Your dog has to play with the toy using their teeth to bite down in an attempt to get the food to spill out. A little encouragement or help may be necessary with the first few goes. It is entirely safe for your dog’s teeth and much better than most hard toys that can potentially wear down or chip teeth. The GameChanger is best enjoyed by the food-motivated puppy or older dog. This is one of the interactive dog toys to keep your pet occupied while alone and helps to calm issues related to anxiety. They are also great toys for bored dogs. Plus it limits the need to use the travel dog crate. The Zogoflex Tux is a treat dispensing dog toy that is strong and durable to stand up to the roughest play. 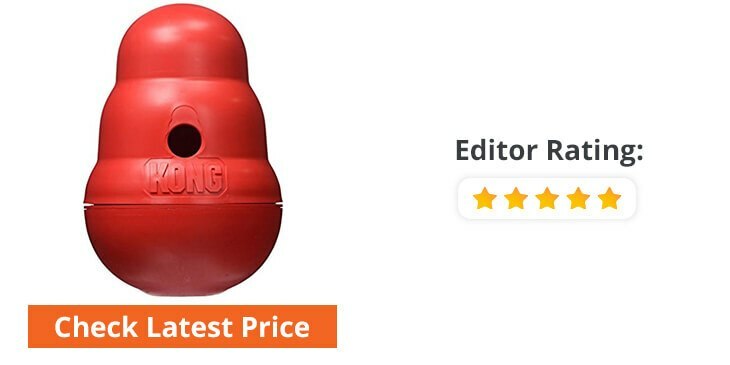 This interactive dog toy has a hollow center to fill with treats to encourage the for reward-based dog training. It easily accepts kibble, biscuits, etc. Any dogs wishing to enjoy a treat will have to work at it. Even when the fun shaped toy is empty, your dog will still appreciate its ability to bounce and float. The Zogoflex Tux is most appreciated by dogs that have a tendency to gnaw. Use this toy to encourage both physical and mental stimulation, and is useful for keeping your dog from destroying furniture and shoes. Tux is really easy to clean and maintain. It even does in the dishwasher for a quick wash when required. Plus, the interactive toy is made in an FDA-compliant material to ensure it is fully safe to eat off. The Extreme Balls are among the toughest, best bouncing and most resilient in the market. They are built for rough play in mind and easily stand up to the most determined dogs, such as the pit bulls or German shepherds. The KONG Extreme Ball is available in a choice of sizes: 2.5” for the small dog breed and 3” for the medium-large breeds. The balls are a great choice for outdoor play and the puncture-resistant build means it has the potential to last for the long-term. Any dog that loves to play fetch is certain to appreciate this fun and bouncy ball. If your dog makes light work of a tennis ball, use the Extreme Ball to give the proper play time that isn’t cut short with an easily destroyed toy. The Bob-A-Lot Interactive Dog Toy is a fun and active treat dispensing gadget in several useful sizes. Once the small or large chamber is filled with snacks and nibbles it is placed on the floor for your dog to play with. It is fully adjustable to lower or increase the difficulty in which the snacks spill out. First time users may need a little encouragement, but after one or two minutes of play, your dog will soon know what to do to extract the treats. The Bob-A-Lot is one of the interactive dog toys to help promote both mental and physical stimulation. It is great to avoid issues like separation anxiety during the day when your dog may be home alone. Plus, it removes the need to depend entirely on the big dog crates. The Variety Pet Dogs Toy Set by Lobeve is a perfect combination of fun and active toys for small to medium dogs. The variety set is split between: balls, Frisbee, chew, ropes, spinose loop, squeaky and interactive. Each of the toys is in vibrant and beautiful colors that easily attract and noticed by your dog. Use the Toy Set by Lobeve to meet different requirements. For instance, the dog chew toy is certain to help control tartar and plaque build up and promotes clean teeth. Interactive dog toys are great for strengthening the bond between owner and dogs, while also decreasing issues with separation anxiety. Whether it is tugging and pulling or playing with a rope ball or squeaky toy, there is plenty here to keep the most active and lively dogs entertained. The Treat Dispenser Interactive Dog Toy by ThinkPet is designed to test your dog’s skill and patience at extracting treats. It is made of a durable, natural rubber that easily stands up to regular and active play. The IQ treat ball is built with a unique shape to make it jump irregularly to create that extra degree of fun and increase its foraging patience. The slow nature of extracting the treats means your dog slows its eating habits and also stays more active. The Interactive Dog Toy by FurryFido is a perfect fun activity for the small to medium sized dogs (up to 30 lbs). This is a useful toy to promote greater physical and mental stimulation as your dog actively works to retrieve treats. This interactive dog toy is different to most other similar choices because it plays a fun sound which is a further positive step to keep the dog entertained and intrigued. The FurryFido IQ Treat Dog Toy is built with the virtually indestructible material that is safe and non-toxic and easily able to stand up to your dog’s rough play. An extra benefit of this toy is the ability to clean your dog’s teeth thanks to its unique pattern design. Use this type of toy to keep your dog entertained while home along to keep away from your favorite household items, or simply for regular playtime. The entire dog toy is about 4.5 inches in diameter and has an opening to dispense the treats of .75 inches. 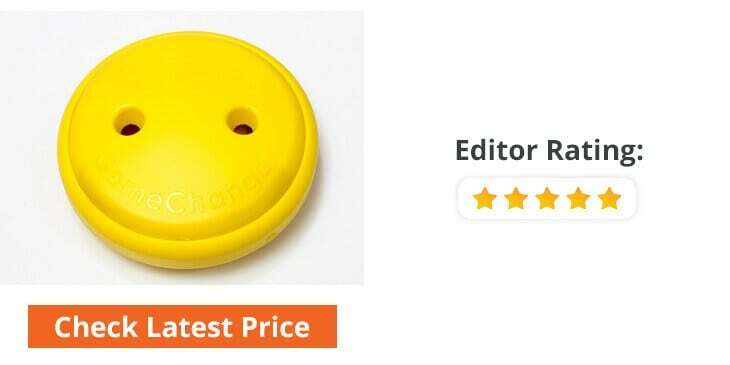 The Wobbler Treat Dispensing Dog Toy is a perfect alternative to feeding with a traditional bowl and brings much more enjoyment to mealtime. Plus, it stops dog health issues like gulping food. 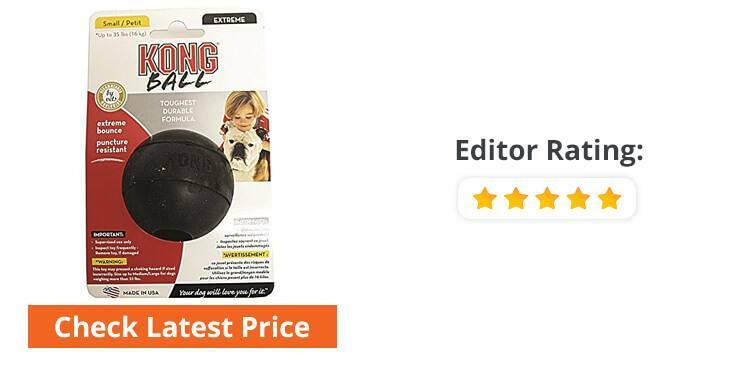 This interactive dog toy is a practical choice for breeds up to 25 lbs. It easily accepts up 2 cups of a favorite dry dog food and is really easy to use. 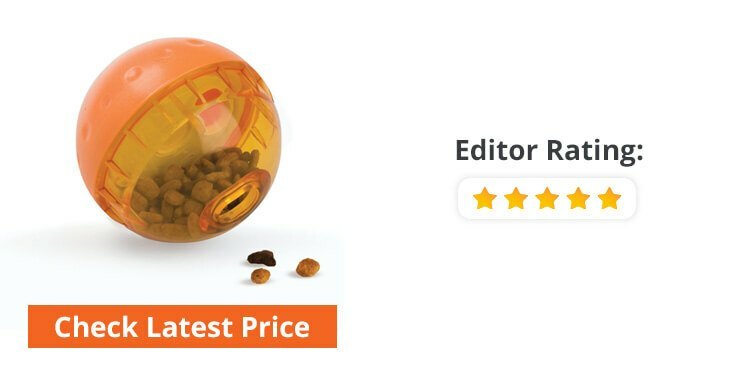 Simply fill the Wobbler with your dog’s favorite food or treats and screw the top back on. Once the toy has been placed on the floor, your dog knocks or wobbles the toy with their raw or nose to dispense the food. This can give hours of engaging fun and with the unpredictable shape and movement of this toy; it will always be a challenge to retrieve the food. Use this fun toy to give your dog a combination of physical activity and a mental challenge. 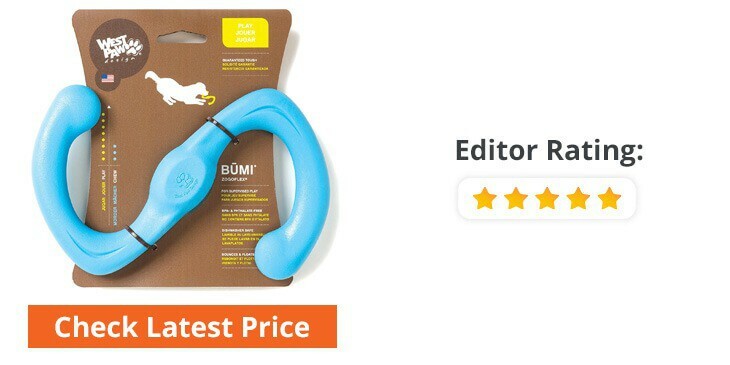 The Zogoflex Bumi Tug-o-War Dog Play Toy has a fun and innovative “S” design that really stretches for tug-o-war fun. Use this toy for supervised play and combine tugging and fetching. It is a tough and durable toy that is still easy on your dog’s gums and mouth. Also, it is a brightly colored toy (aqua, granny smith, tangerine) so easily found when playing fetch. Whether it is heavy-duty tug sessions or a fun game of fetch, your four-legged friend is certain to appreciate this interactive dog toy. One of the best things you can do as a dog owner is, encourage play time that helps with both mental and physical stimulation. Choosing the right solo interactive dog toys is certain to become an important part of creating a warm and loving relationship. Whether you are watching him roll around, playing a game of tug-o-war or a fun game of fetch, the toy is well-worth buying to promote your dog’s all-round well-being. One of the first steps is to carefully look at the toy size, quality, and material. Any interactive toys for small dogs much match the size of your dog breed. For instance, you don’t want to buy a toy that is designed for a large breed like a German Shepherd when you have a Yorkshire Terrier at home. A further key point is the build quality and construction of the toy. If you are looking for a rope or a Frisbee toy for a large breed, make sure to avoid the cheap or low-quality options in plastic that will be ripped to shreds in a matter of minutes. This also applies to other pet supplies like the cheap dog collars. Instead, you want to be looking at the long-lasting and sturdy materials that can give many hours of constant play time. Even though it will be a little bit more expensive, the quality toy is still more cost effective in the long run because it isn’t necessary to keep replacing the toys. Similar rules apply to buy toys for a young dog or a small breed dog. Go with the toys that are small and soft, so easier for the little dogs to chew on. Also, try to avoid interactive dog toys for large dogs that have pieces that can be chewed off or come loose from play because this can lead to choking hazards. If planning to buy interactive dog toys for the young pup, be sure to either upgrade the small toys to the next size as they grow or completely replace with a different toy. Don’t let the growing puppy play with toys that are too small because this can also have the potential to cause a choking hazard. Ultimately, you want to match the type of toy to your dog. However, most active dogs are usually able to indicate their preferred type of toys over time. Always have the right best interactive puppy toys to match the age of your pet. A puppy at 3 or 4 weeks still has baby teeth, so the preferred toys are made in snugly, plush fabrics or softer rubber. From 3 to 9 months, your puppy will be rapidly growing but still likely to be teething. So, make sure to stay away from rugged rubber-like toys. However, at this early age, your puppy toys should help to distract from chewing to furniture, shoes or similar. Once the teething stage has passed, you will likely have a dog with endless energy and a strong jaw. This is a great time to introduce the rope pulls and ball, and hard rubber toys are now acceptable. On reaching an age of 7 or more, your adult dog no longer has the tooth or jaw strength they once had as an active and excitable young dog. But it is still practical to invest in the right toys to encourage play. At this age, the toys should revert back to the softer toys that are easier to chew on. Luckily, there is also an endless array of types and sizes of toys to match the practical health and physical aspects of all ages. Simply match your dog’s personal chewing habits to the toy for a fun and entertaining experience. Even with the right basic information, it can be difficult to navigate the aisles in the local pet store for high-quality toys and tough dog collars. Dog toys come in all sizes and shapes, but the most fun and engaging ones are the best interactive dog toys. A toy that is great fun is the tug-of-war toy that gives unlimited entertainment. The dog cotton rope toys are perfect for the young puppies. With gums that are sore and teeth still growing, the cotton rope is really appreciated for its ability to alleviate pain while also helping to make sure the teeth are kept clean and healthy. The flying toys that soar through the air are practical for the highly active dogs that are constantly running and jumping. This type of toy also floats in the water so creates further entertainment for the dogs that love to get wet. Other options include the sensory dog toys that help to promote your dog’s senses. Squeaking bones and stingy multi-colored rings are great to attract your dog’s attention. An everyday favorite is the interactive food toys for dogs that provide mental and physical stimulation, while also helping to control unhealthy eating habits, such as gulping. In addition to the dog toys played inside the home, don’t forget the fun and games that can be enjoyed with the outdoor interactive dog toys. 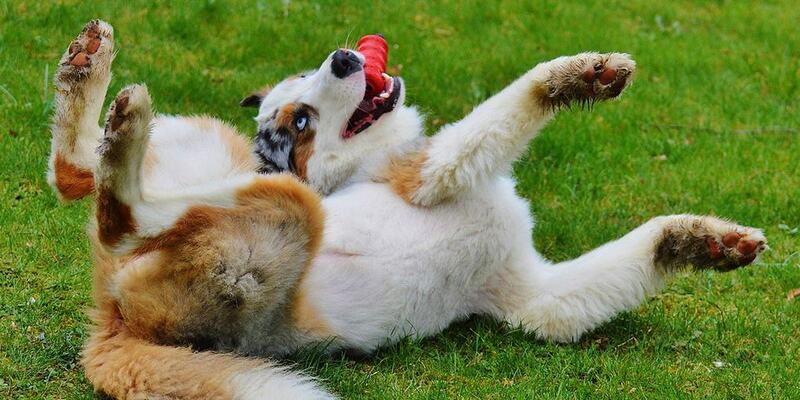 A great interactive dog toy for some outdoor fun is the Frisbee. This is a fun game to play with your dog and certain to give plenty of useful exercise time. Dogs are always interested in the catch and return games. Also, it is useful to try to keep the indoor and outdoor Golden Retriever toys separately. Play outside often means muddy and dirty toys that are best kept away from the clean floors in the home. Also, soft or plastic toys like some of the interactive food toys aren’t built for outdoor use. With a good dog collar and plenty of toys, there are many places to visit to engage in fun play outside. No matter the type of interactive toys you have, there is plenty of puzzle and fun games to help improve mental sharpness and give all-round exercise. Start slowly with the basic toys. Once your dog knows how to work the simple toys, start to upgrade until able to fully challenge at the next level. You also may need to check other dog supply review and this website is all about the dog. Remember that the chosen toys should be based on criteria like the intensity of chewing habits, size, and age. Also, make sure to provide your dog with toys that match the particular years and change as he ages from puppy to adult dog. While safety is a critical factor in buying the best interactive dog toys, you also want to make sure that fun shortly follows.